WIN a GRACO SLIMFIT 3IN1 CAR SEAT! Graco, one of the world’s most trusted baby brands, is breathing new life into its UK product ranges across pushchairs, travel systems and car seats; as well as its swings, soothers and travel cots. Known for its safe, reliable products for children that are value for money, Graco UK will be the same great brand but with a new energy and excitement. The SlimFit 3in1 will be the only car seat parents will ever need being suitable from birth to approximately 12 years old (36kg) and is both forward and rearward facing. 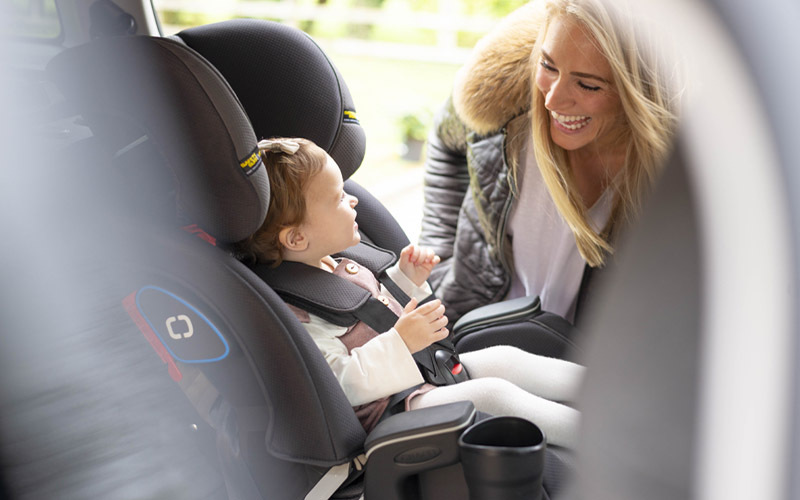 Putting safety first, it promotes and offers the option to have your child rearward facing for longer, up to the age of approximately 4 years old. SlimFit offers side impact protection with True Shield technology, a reinforced steel frame and energy absorbing foam for effective impact energy management. Comfort is never too far from mind either – little ones will benefit from a 10 position head rest and 4 possible recline positions, with padded body insert and harness pads. A SlimFit 3in1 Car Seat! The SlimFit 3in1 Car Seat that is up for grabs in this giveaway, has how many recline positions? with heading #WIN Graco SlimFit 3in1 Car Seat.